System//Level were happy to support an urgent website project that needed immediate hosting and content generation in support of a book release. Between the end of the California business day, and the start of the UK business day, we procured and configured a hosting provider, configured a CMS, iterated the design and settled on a very simple gallery theme, and uploaded and tested all content. 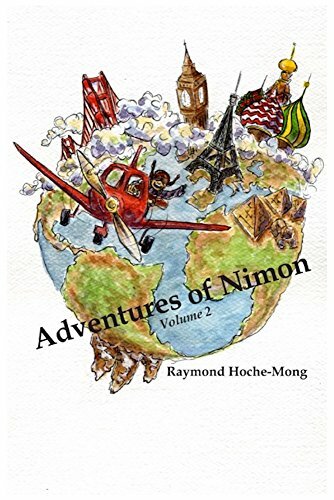 The book is the Adventures of Nimon, the memoirs of Revd. Dr. Hoche-Mong, available through the usual channels, and the website provides images that accompany the book. Being responsive and quick doesn’t mean we cut corners. We are also delighted to be using a hosting provider that uses 100% renewable energy. Got a project that sounds impossible, or needs someone to drop everything to jump in to solve a problem without losing sight of the system level? Ask System//Level. Email us using the relevant topic@systemlevel.co.uk address (e.g. reviews@), and we'll get back to you swiftly. Registered in England and Wales, number 08886750. VAT number GB221356442. Copyright © 2019 Systemlevel. All Rights Reserved.